We love using our iPhones to develop ‘active looking’. Using our lens as a window on the world we are learning to really see. This class was asked to construct images of the natural world that represented a strong connection to one of each of the elements of art; line, shape, form, space, value, colour, and texture. 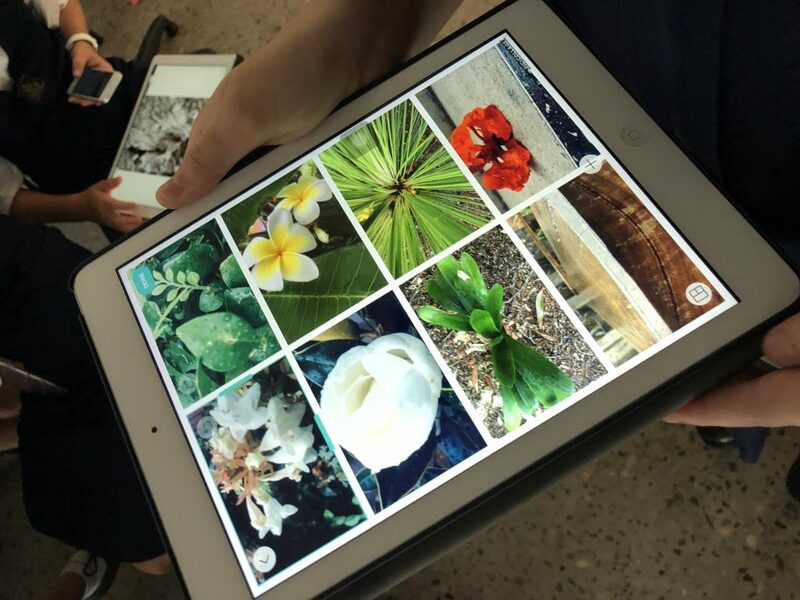 As each composition was created, students grappled with the interconnected nature of visual language, discovering that there was no way to produce an image without using a number of the elements of art in combination. There are also some wonderful opportunities to develop their vocabulary ‘by making and doing’. Once the students had collected images for each of the seven elements, we discussed their choices and talked about their discoveries immediately with the works on-screen in a ‘right no exhibition’. 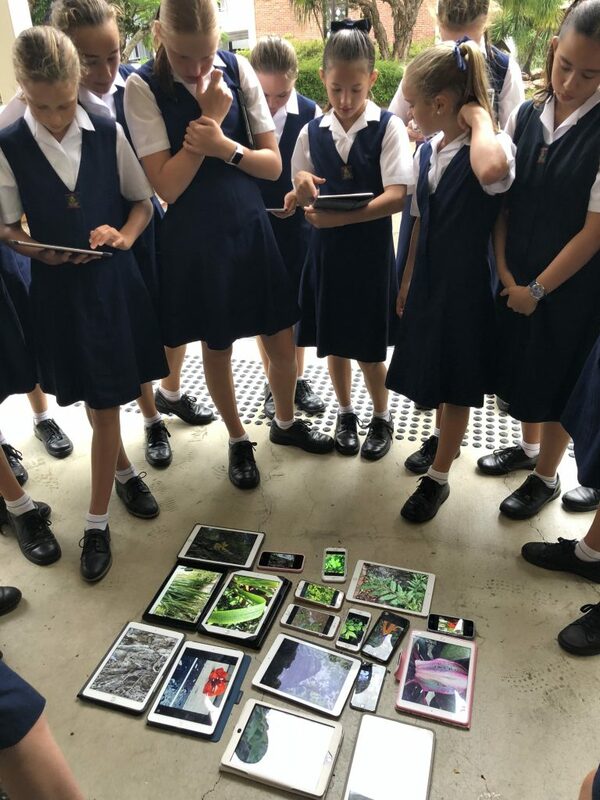 So many students were keen to share that they had discovered and ‘seen’ things in their very familiar school environment that they had never noticed before. Others remarked on the newfound potential in the ordinary, their ability to leverage things that they could see in front of them and to manipulate, or create something new, using the camera. When we compiled the images using a college app, there were some pretty exciting shots in the collections. 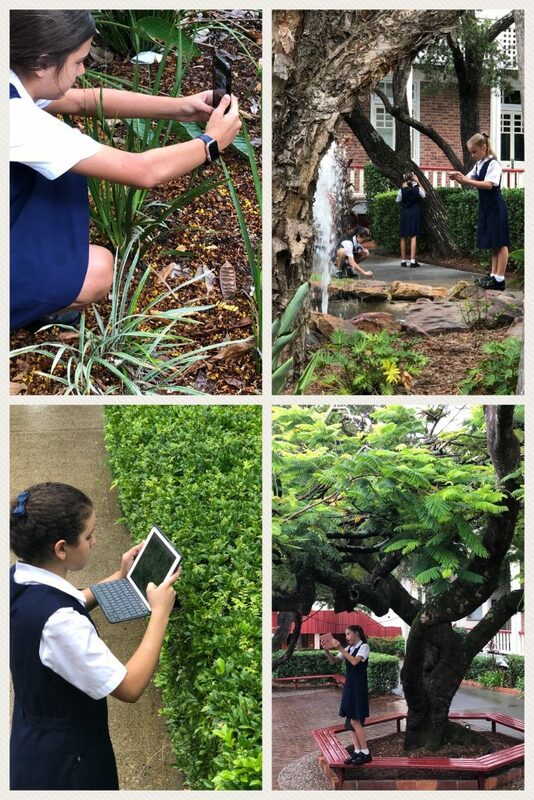 In this lesson the ‘hunt’ is all about finding the elements of art in nature, and sharing those discoveries through photography. There are so many other concepts a ‘hunt’ can support. Young learners can use the camera to collect images of objects that begin with a letter, sound, etc. Students can find items that have a certain colour, shape or be instructions to ‘find’ and document things in their world. In these cases, the basic skills of photography can be unpacked, as students grapple with focus, zoom, targeting and trigger control. Moving into compositional work, students can take images of objects from a variety of angles and points of view. They could hunt for locations and subjects that allow them to describe more complex or abstract concepts such as emotions or symbols, and work with the idea that photography is a communication tool. We’d love to hear about your iPhoneography hunts, so please share them in the comments!